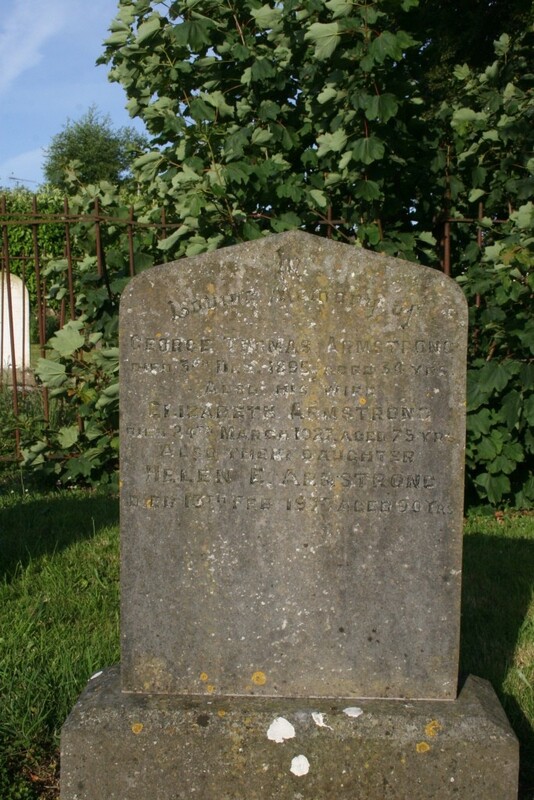 In loving memory of George Thomas died 3rd Dec. 1895 aged 34 yrs. 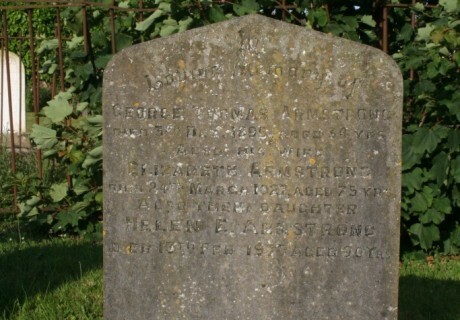 Also his wife Elizabeth Armstrong died 24th March 1927 aged 75 yrs. and their daughter Helen E. Armstrong died 23rd Feb. 1977 aged 90 years.